Next to stability the single most relevant concern we have when it comes to running our builds on Travis CI is performance. We want everyone to be able to push their changes and see the build result as quickly as possible. So far Travis CI has lacked dedicated tools for optimizing your builds. You got to know the wall-clock execution time of your build jobs, but it was hard to figure out how long each command took, unless you’d prepend every single one of your commands with time. 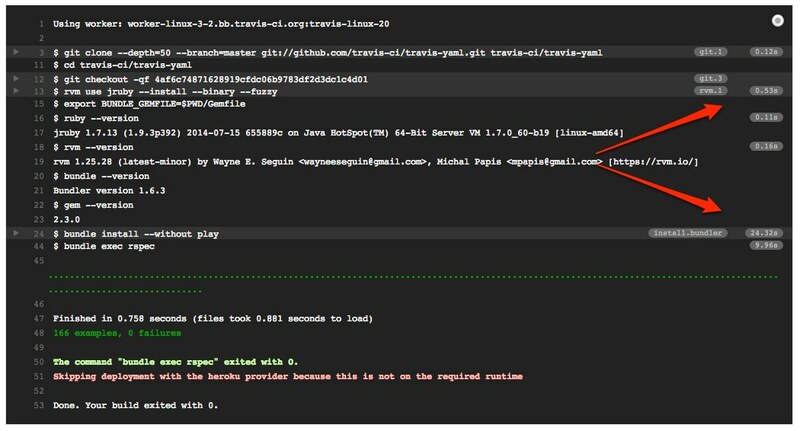 Other commands, such as running git checkout [commit] are not timed. Starting today Travis CI measures and displays the runtime of relevant commands, such as cloning your repository, installing dependencies, running before and after scripts, and running your tests. This feature is available for both public and private repositories starting today. The original implementation of these time tags was provided by Łukasz Sarnacki and the current implementation is heavily based on his great work. 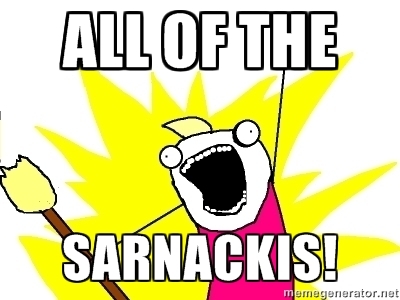 With his brother Piotr being one of our long term core team members, this means ALL OF THE SARNACKIs (brothers) are now Travis CI contributors.